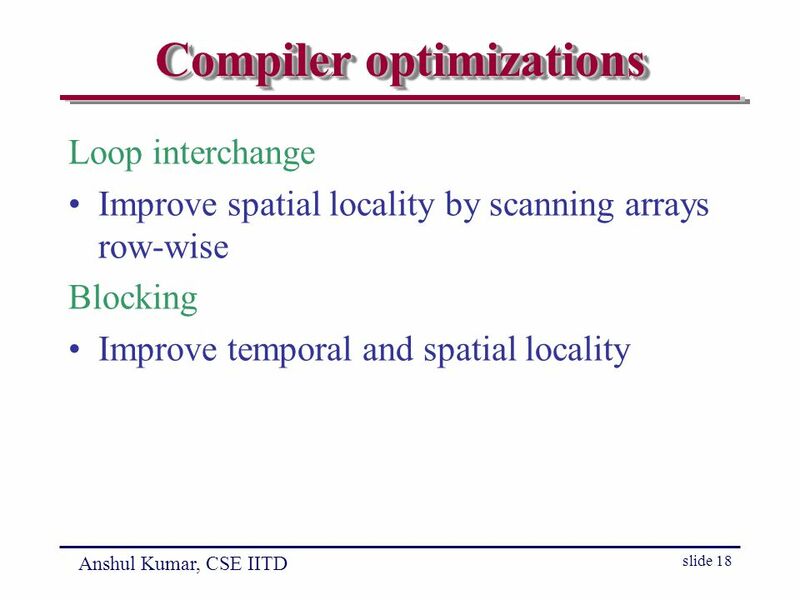 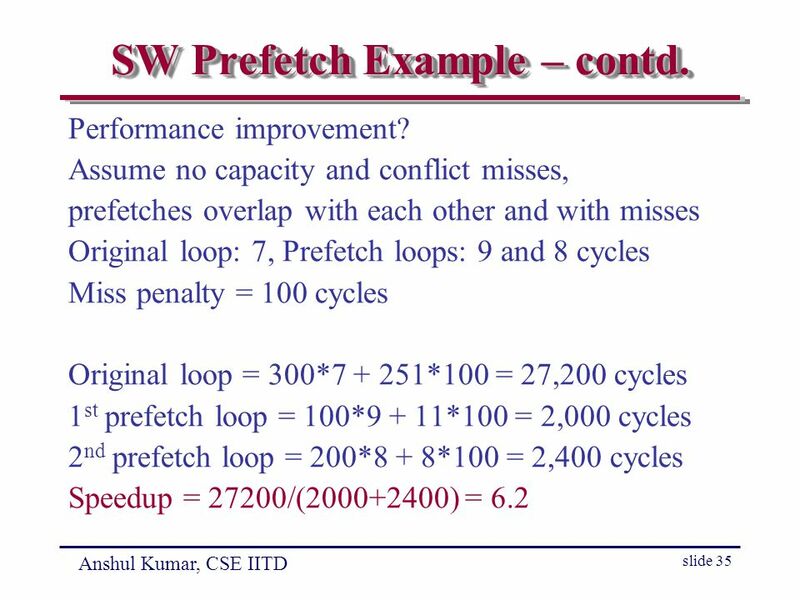 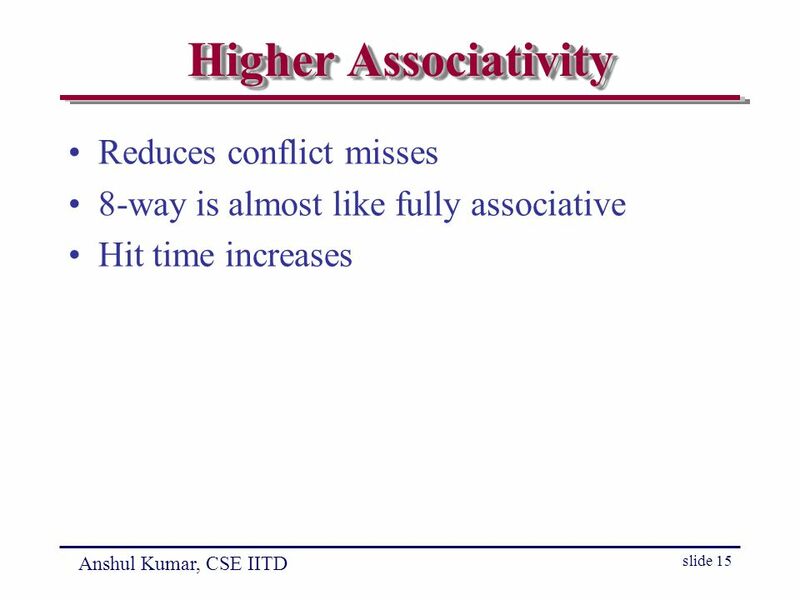 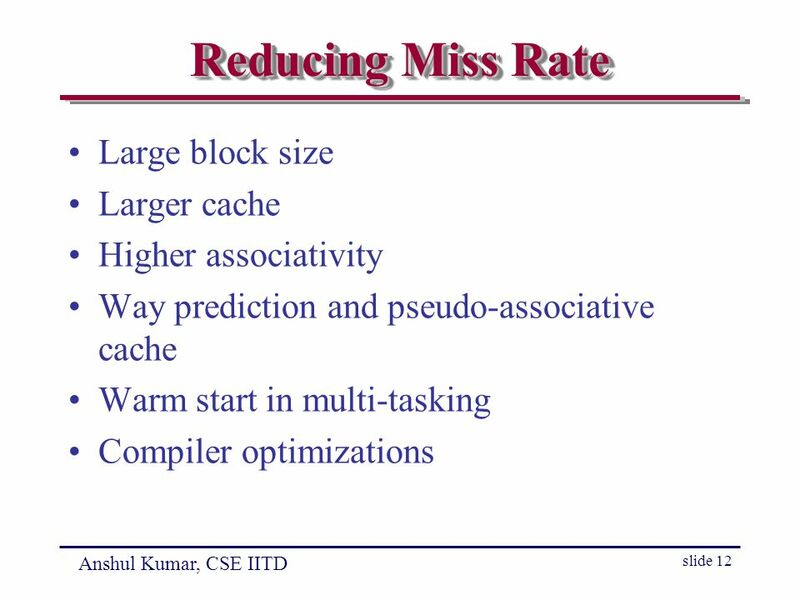 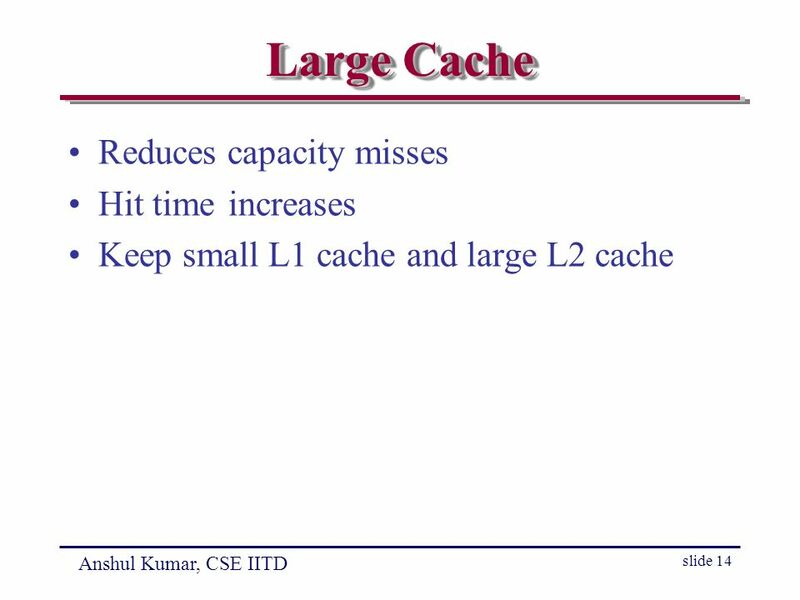 Anshul Kumar, CSE IITD CSL718 : Memory Hierarchy Cache Performance Improvement 23rd Feb, 2006. 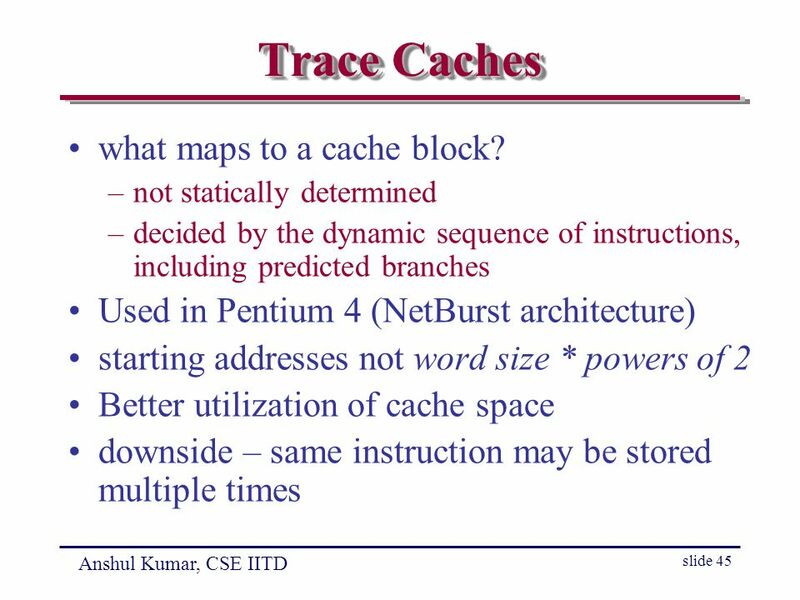 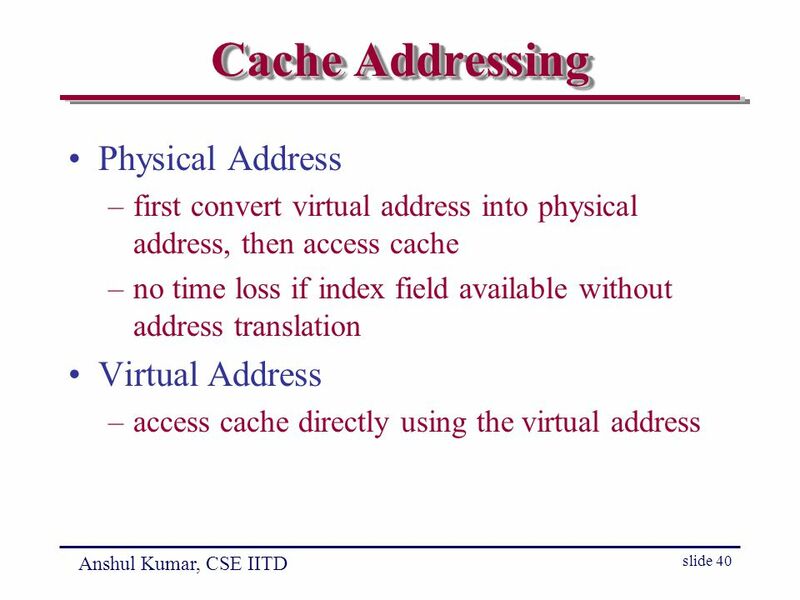 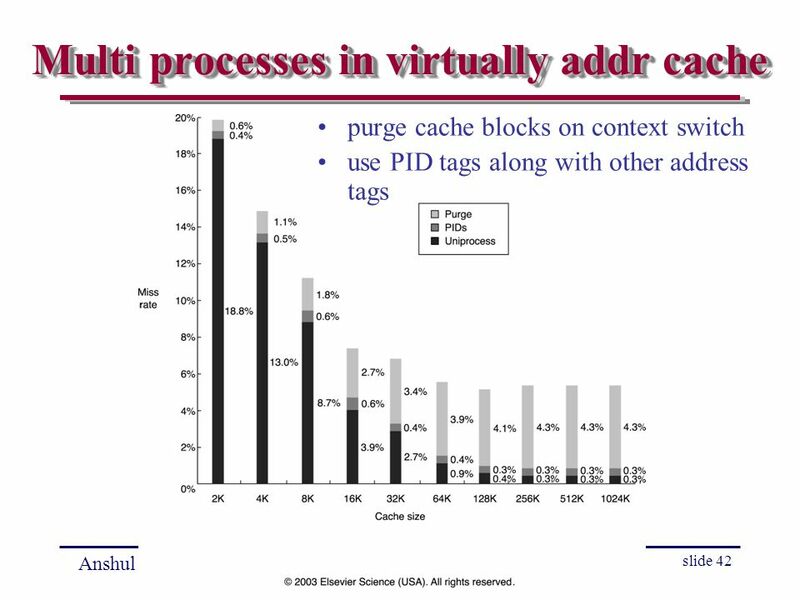 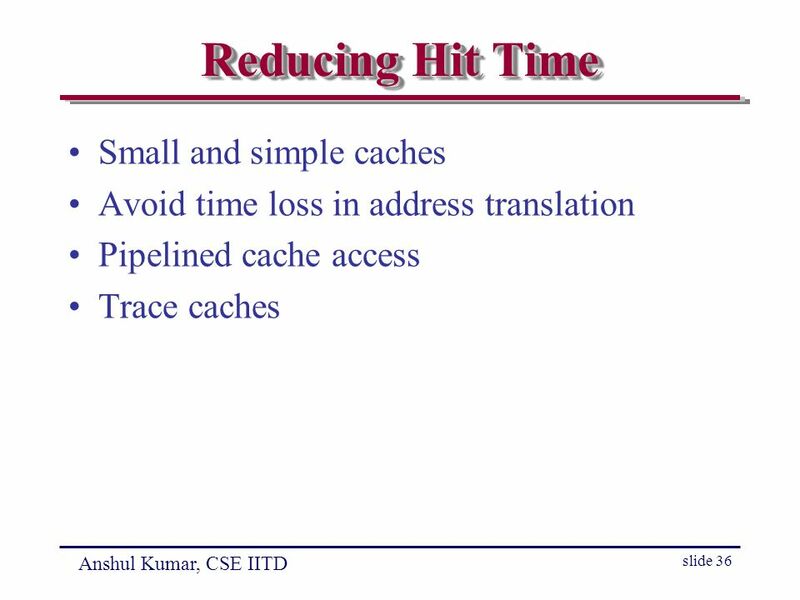 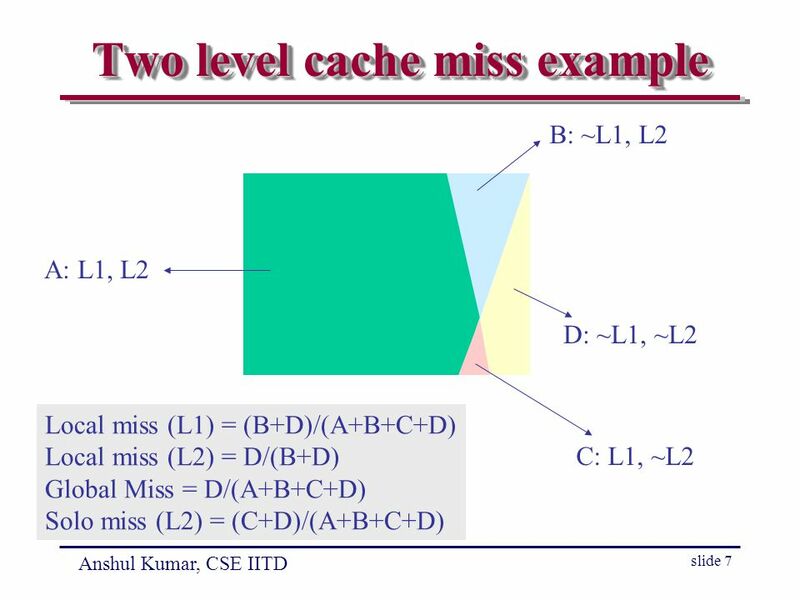 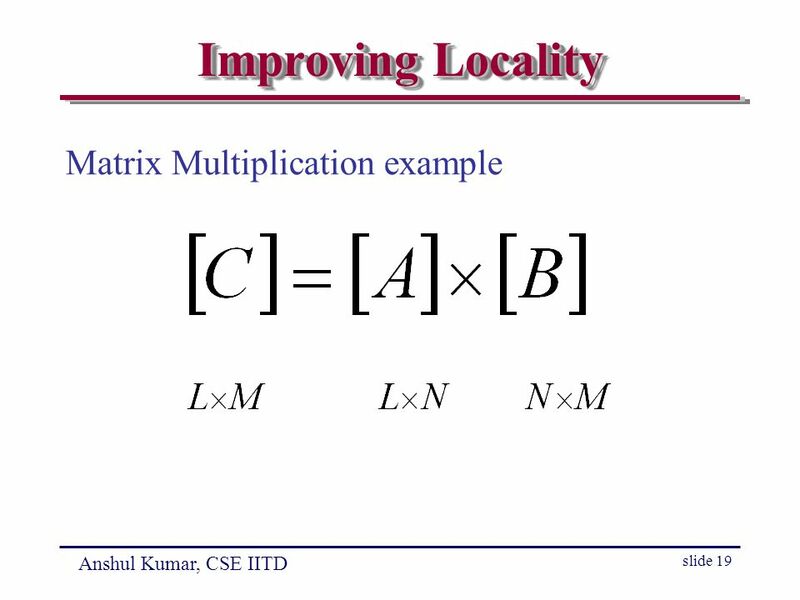 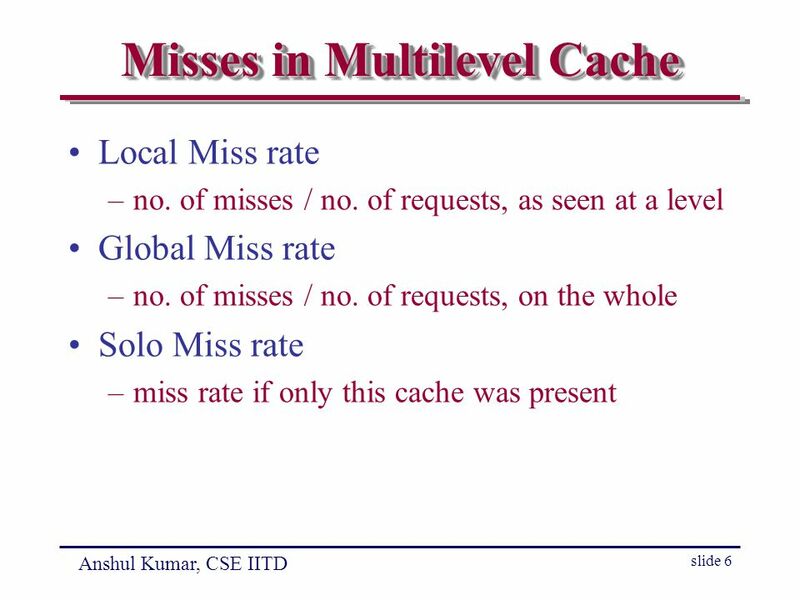 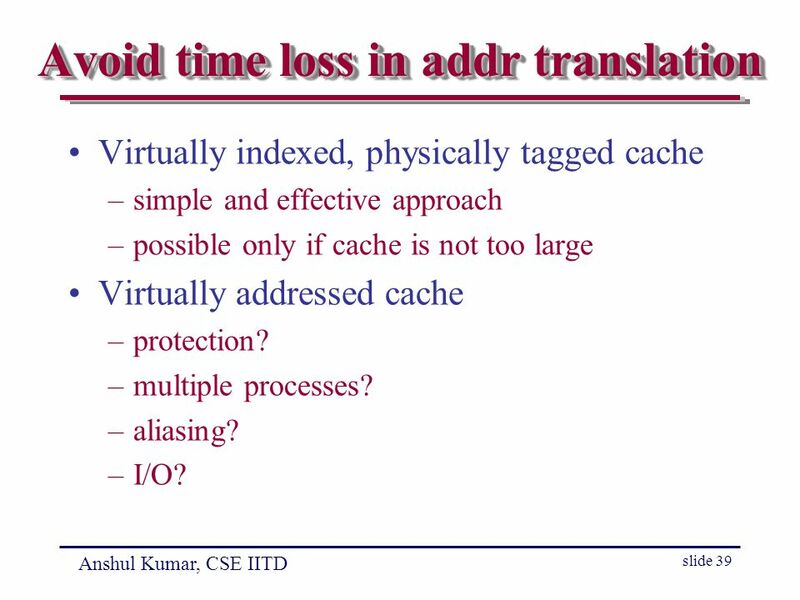 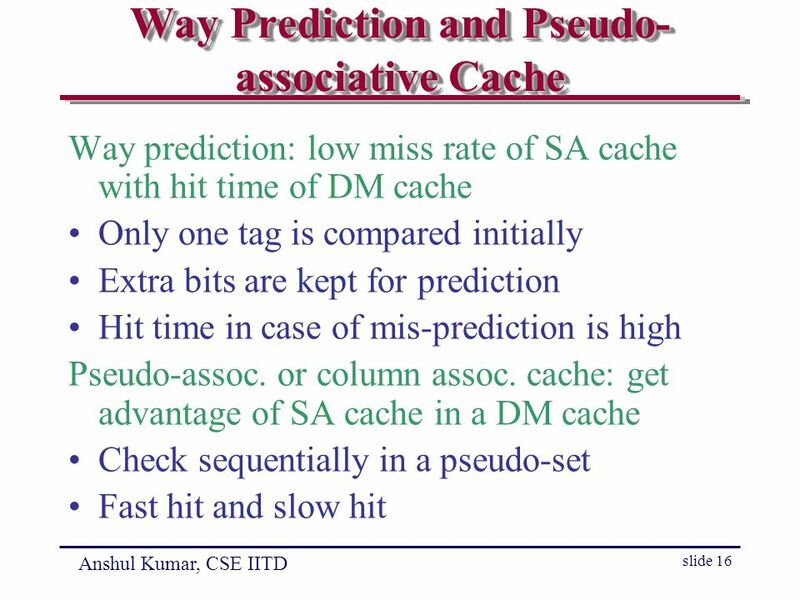 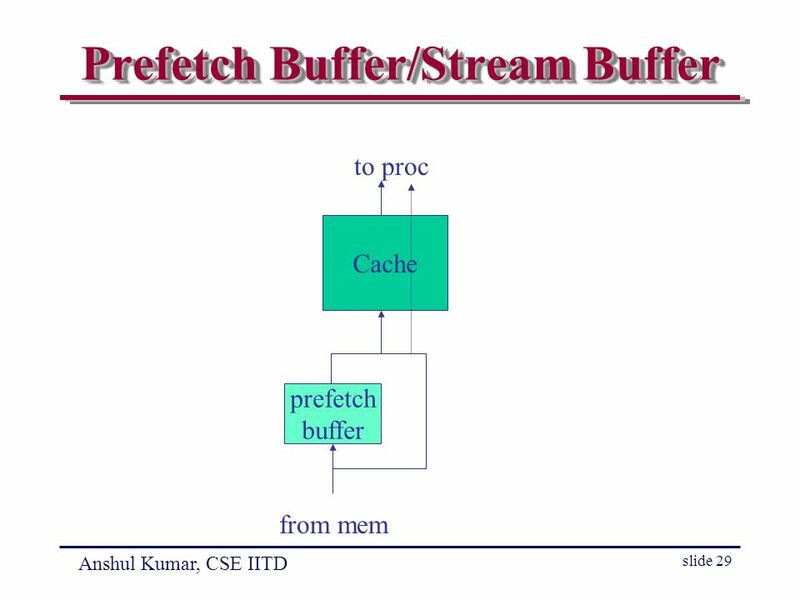 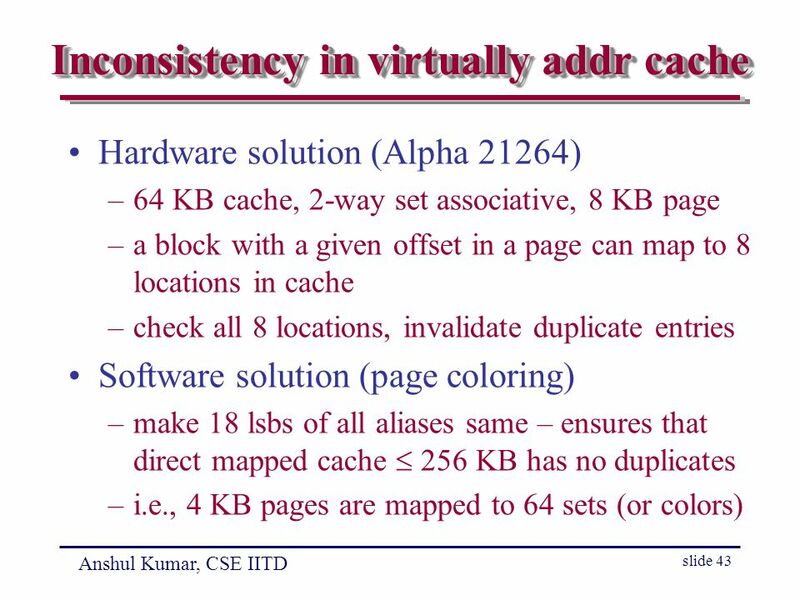 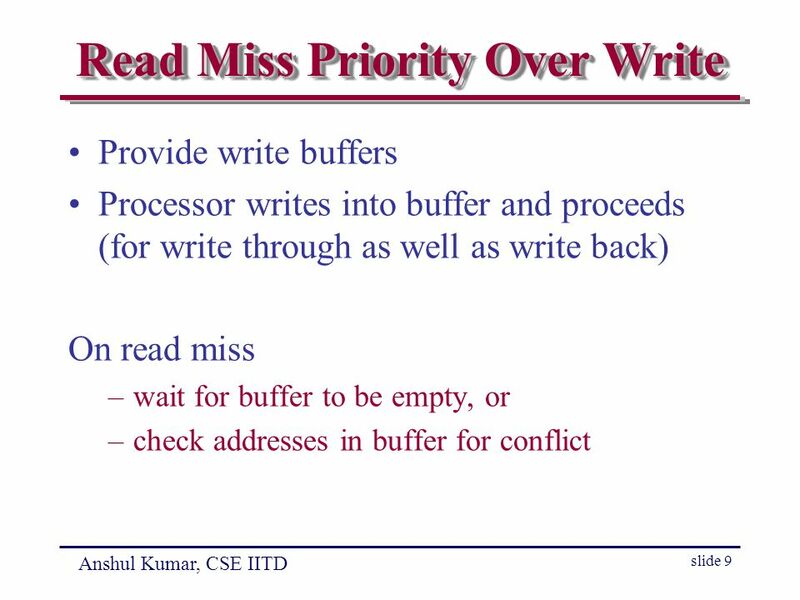 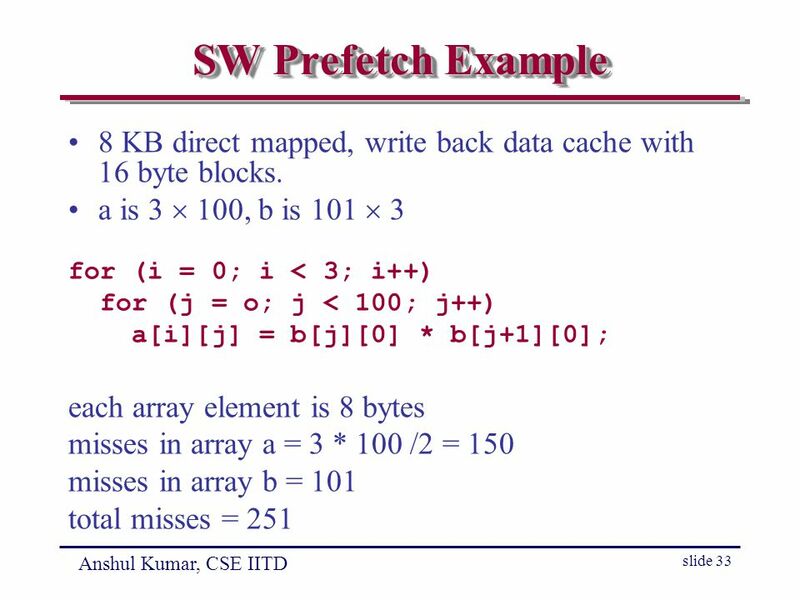 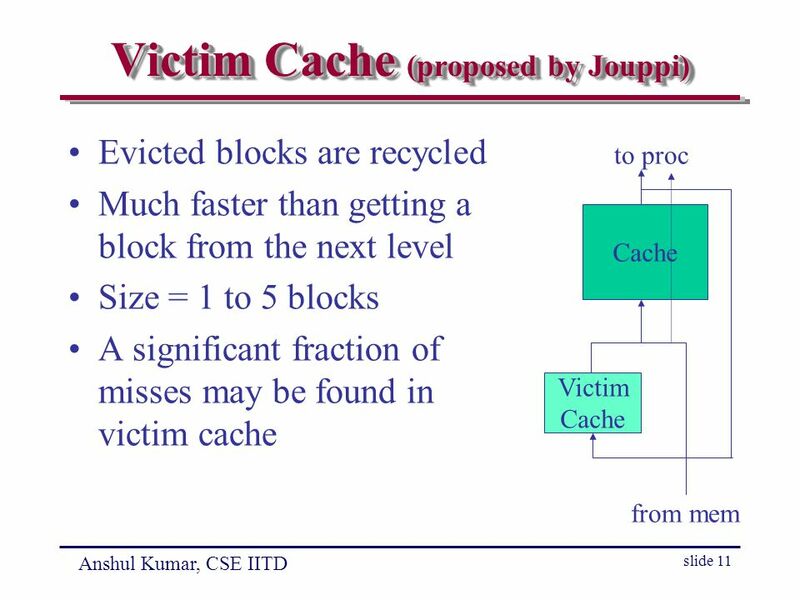 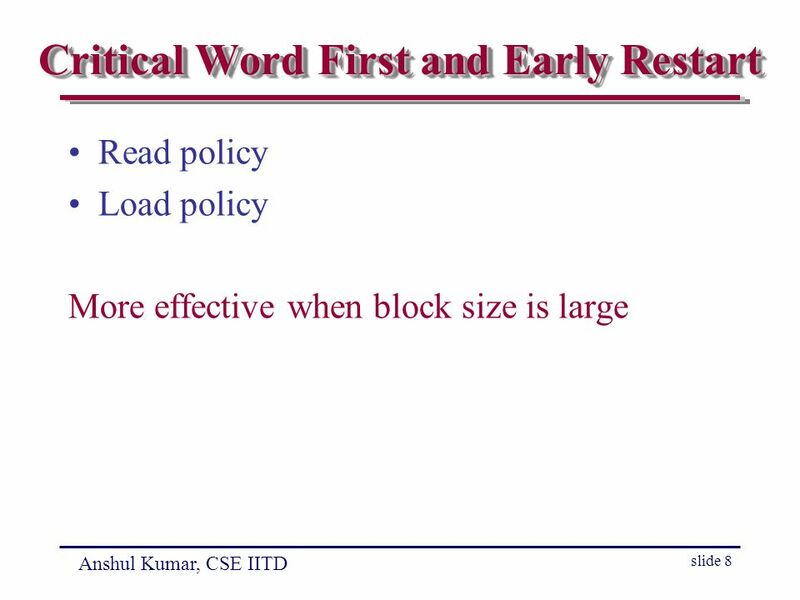 39 Anshul Kumar, CSE IITD slide 39 Avoid time loss in addr translation Virtually indexed, physically tagged cache –simple and effective approach –possible only if cache is not too large Virtually addressed cache –protection? 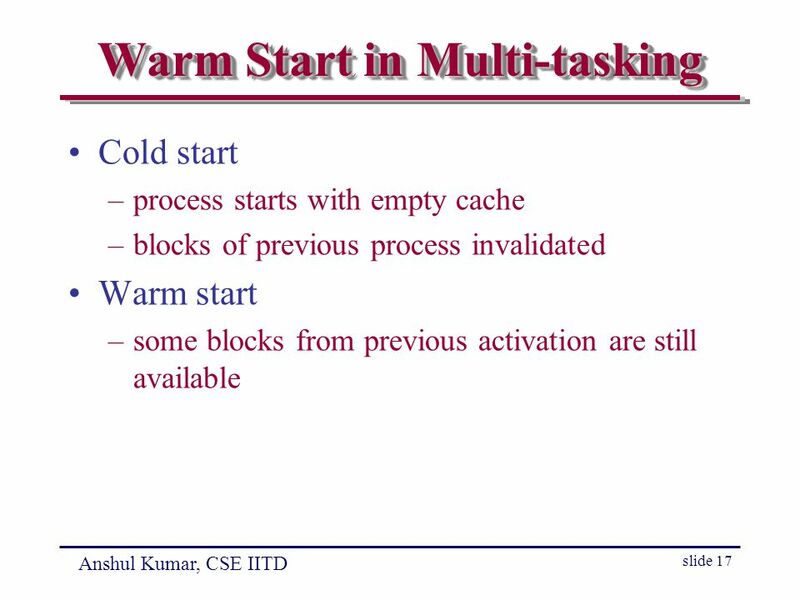 –multiple processes? 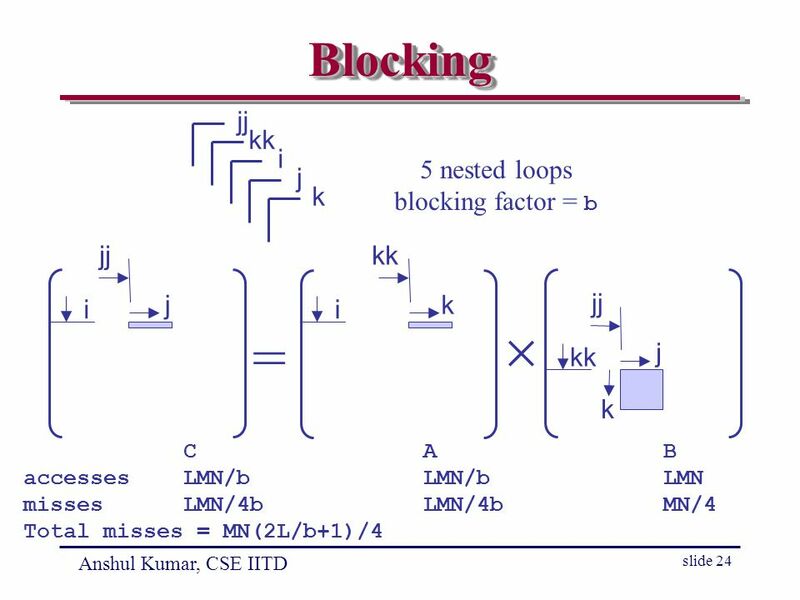 –aliasing? 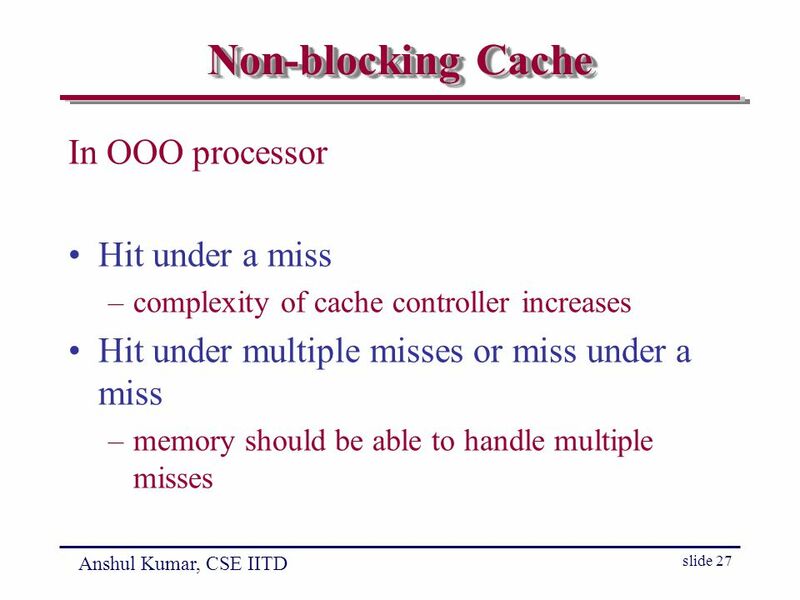 –I/O? 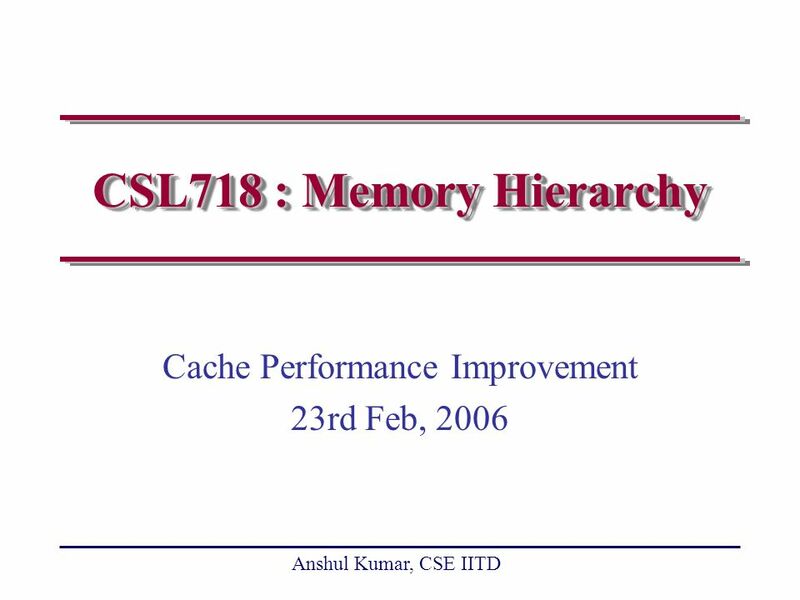 Download ppt "Anshul Kumar, CSE IITD CSL718 : Memory Hierarchy Cache Performance Improvement 23rd Feb, 2006." 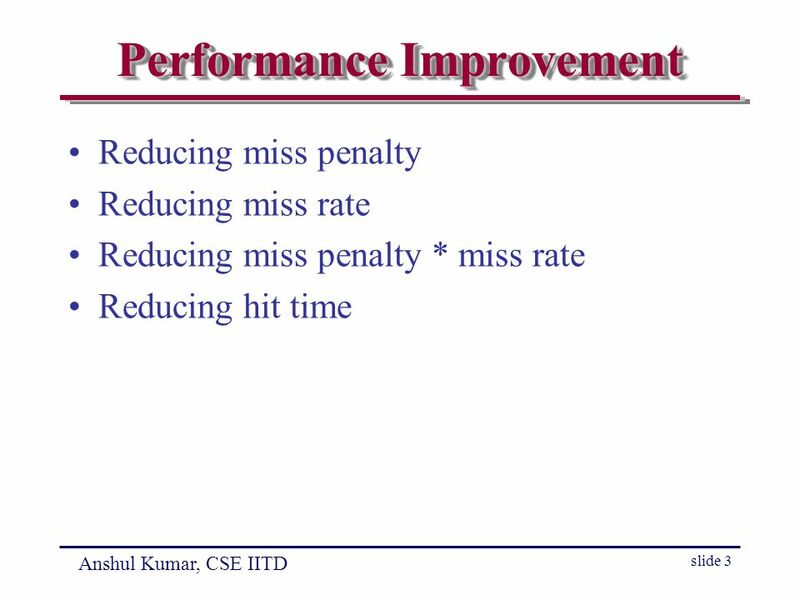 Miss Penalty Reduction Techniques (Sec. 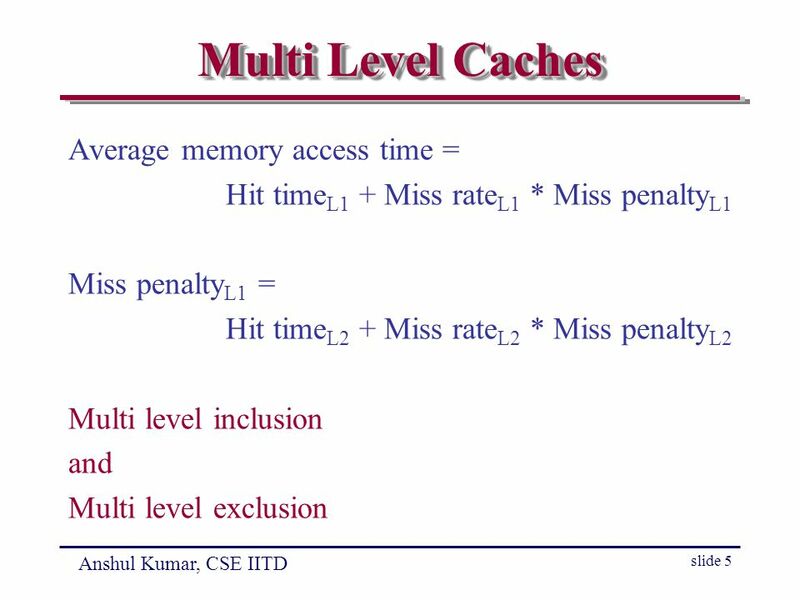 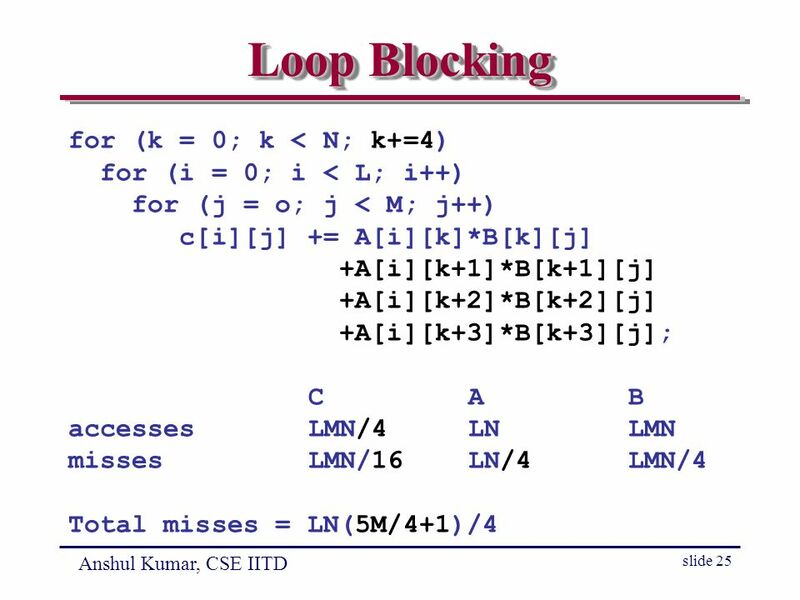 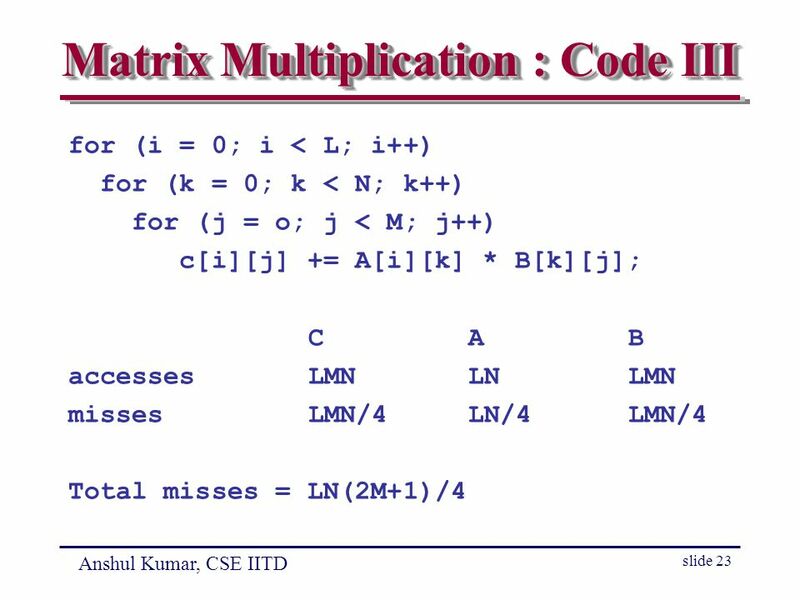 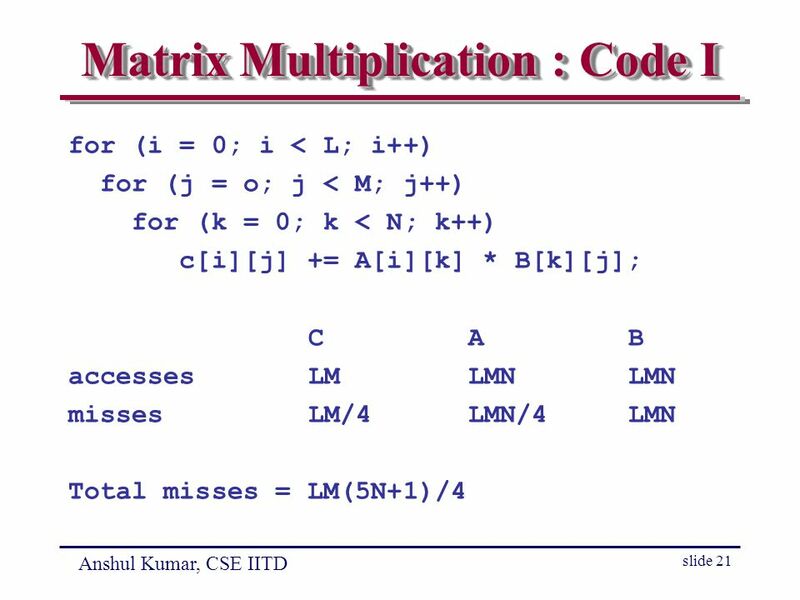 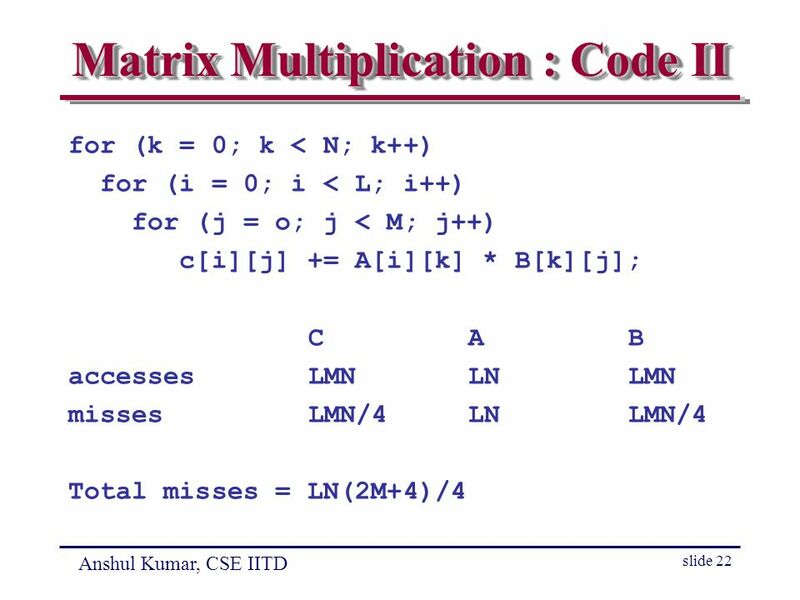 5.4) Multilevel Caches: A second level cache (L2) is added between the original Level-1 cache and main memory. 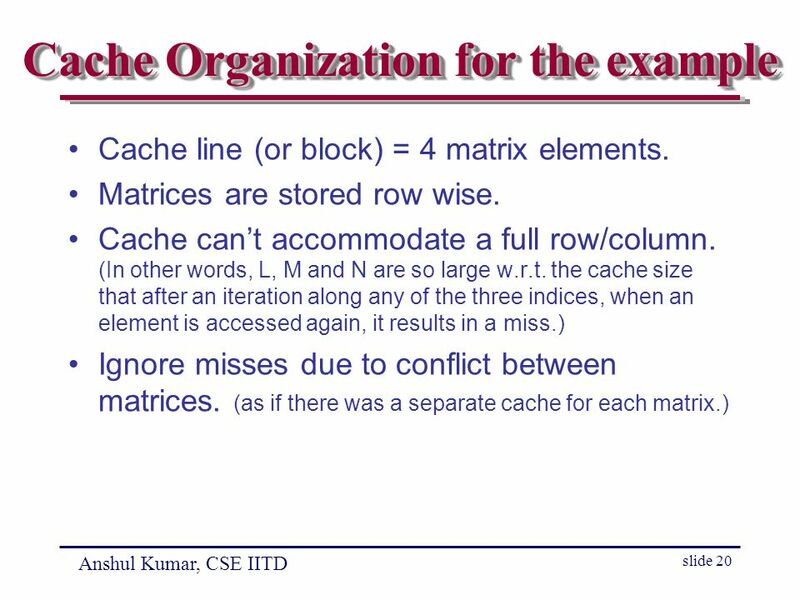 CSE 490/590, Spring 2011 CSE 490/590 Computer Architecture Cache III Steve Ko Computer Sciences and Engineering University at Buffalo. 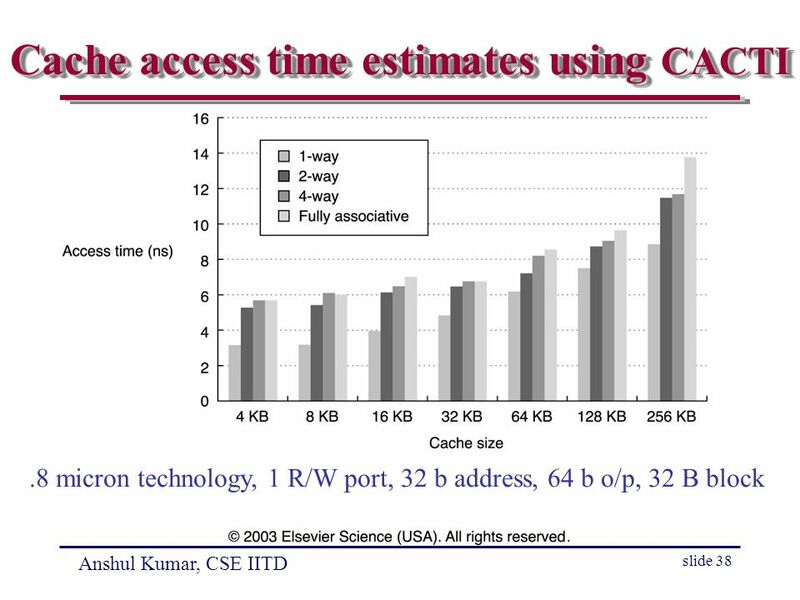 Spring 2003CSE P5481 Introduction Why memory subsystem design is important CPU speeds increase 55% per year DRAM speeds increase 3% per year rate of increase. 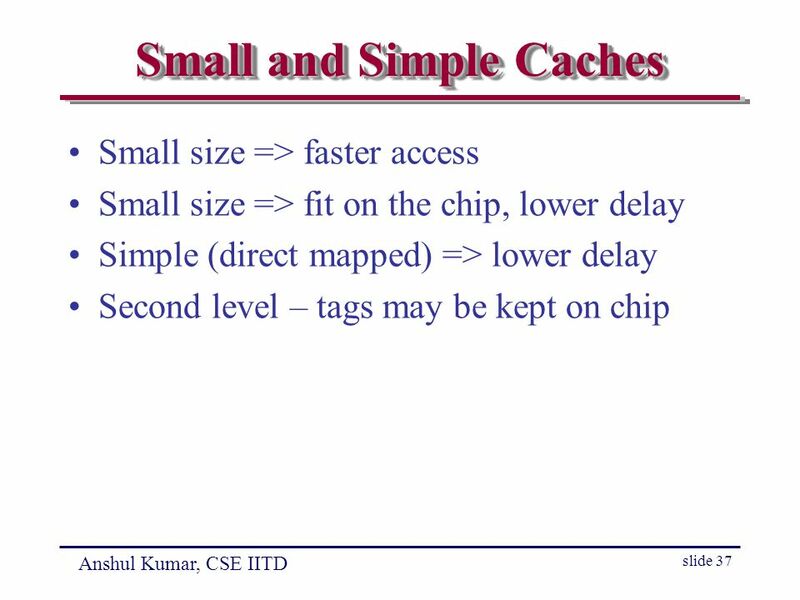 CS252/Culler Lec 4.1 1/31/02 CS203A Graduate Computer Architecture Lecture 14 Cache Design Taken from Prof. David Culler’s notes. 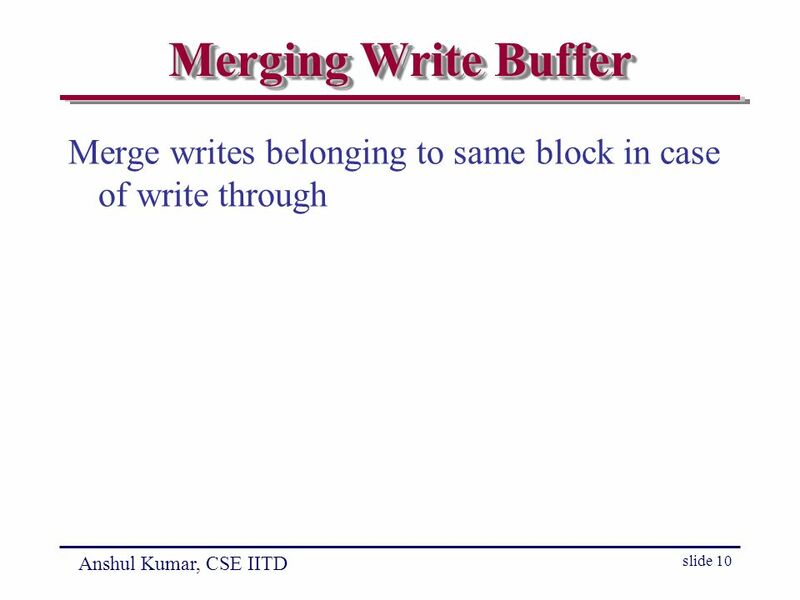 M E M O R Y. 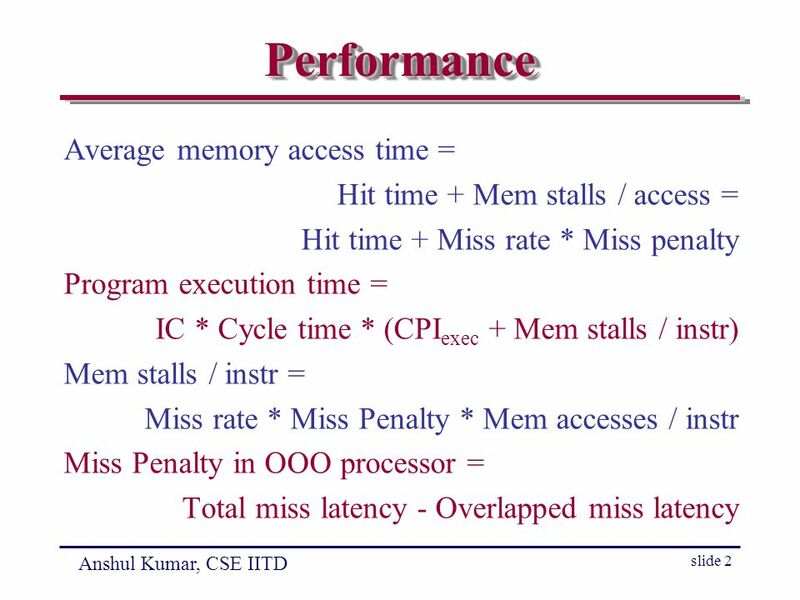 Computer Performance It depends in large measure on the interface between processor and memory. 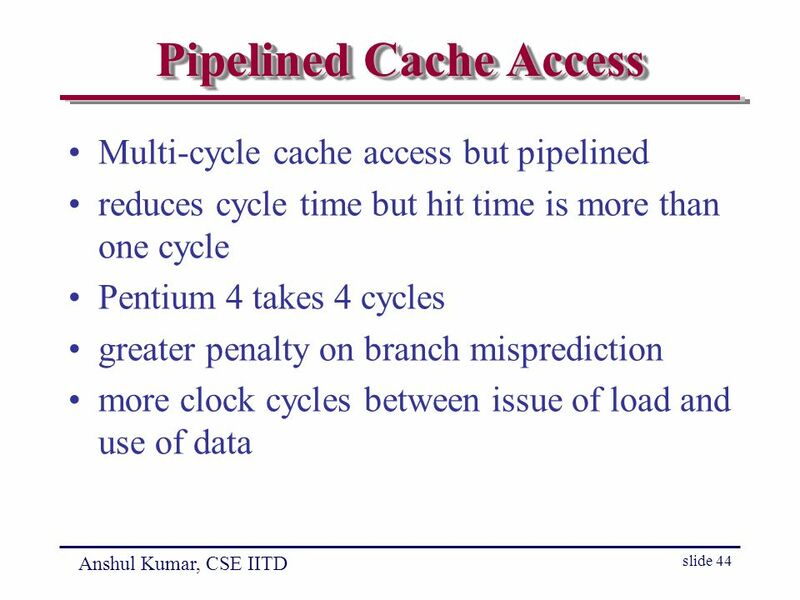 CPI (or IPC) is affected CPI = Cycles per.